It’s Member Rewards time at REI! That means, if you’re an REI member, you’ve just received 10% of your annual purchases back in one lump sum dividend, which is always rad. And if you have a backpacking gear addiction like we do, your dividend can actually add up to a good chunk of change. 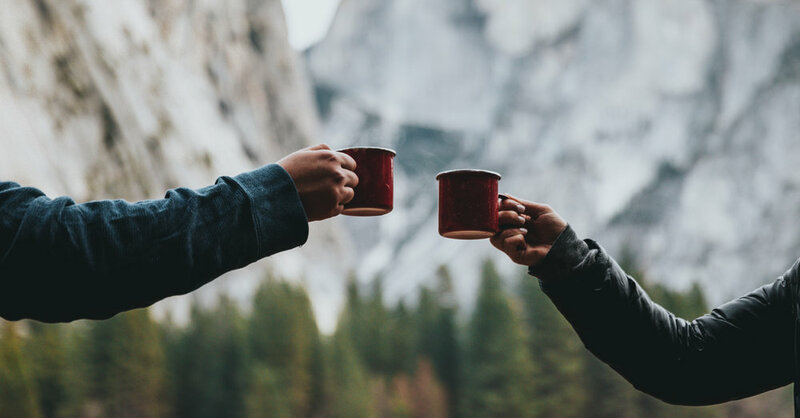 To sweeten the deal, from 3/22 to 4/8 REI Members save 20% on one full-price item and an extra 20% off one REI Outlet item with coupon code MEMPERK2019. 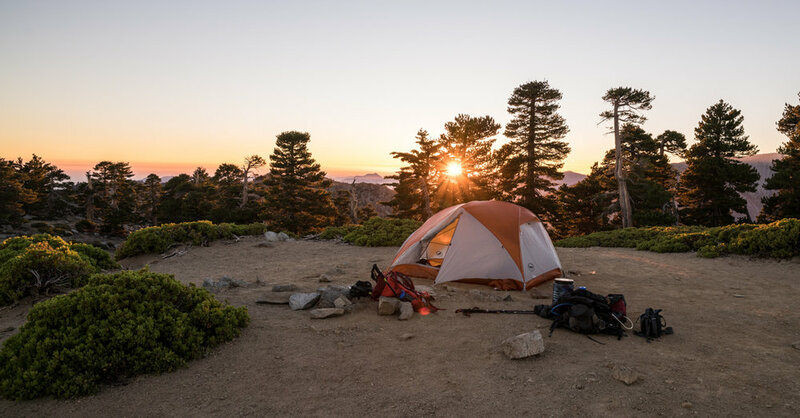 Now is one of the best times of the year to save on a big-ticket purchase such as a tent, sleeping bag, backpack, sleeping pad, or anything else with some sticker-shock pricing. If you’re not an REI member, don’t fret! You can pick up a lifetime membership for $20 and still get to use the 20% off coupon. So, your lifetime membership will pretty much pay for itself with one big purchase. We want to make sure our readers know we’ve partnered with REI for this article and they’re sponsoring it. That said, all reviews and opinions expressed in this post are based on our personal experience. We treat our recommendations as if they were advice to our family and friends. Great in-store and online experience - While we do still love to support our independent local retailers, we also find the shopping experience at REI to be exceptional. REI is a leader in environmental stewardship - Each year, REI donates millions of dollars to support conservation efforts. They send teams of volunteers across the country to build trails, clean up beaches, restore local habitat, and more. REI has an excellent return policy - Customer service reigns supreme here. We love to ability to buy online and return in store, if need be. REI Co-op products are a great value - We generally find that REI brand products strike a great balance between quality and cost. REI is getting into the ultralight game - We’re pretty stoked to see REI jumping into the ultralight arena. 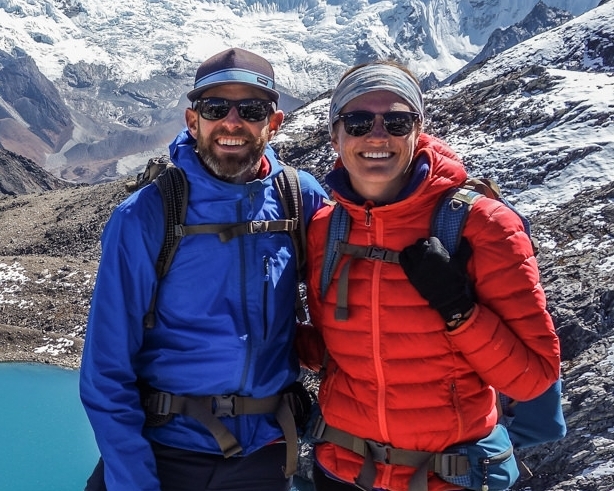 They’re now stocking their shelves with UL retailers such as Hyperlite Mountain Gear, as well as upgrading many of their REI Co-Op product lines to focus on fast and light gear. In addition to your 20% off coupon, REI is also offering a few flash deals, some better than others. We’ve highlighted a few of our favorites below. You only get to use your 20% off coupon on one item, so it makes sense to use it on a big purchase to make it count. Remember to use coupon code: MEMPERK2019 at checkout. REI updated and expanded their popular Magma sleeping bag line and they’re now offering 15°F and 30°F models in both men’s and women’s bags. Weighing only 1 lb. 12 oz., the Magma sleeping bag continues to offers a combination of weight, warmth, and cost that few other sleeping bags can match. If you’re looking for a bag that can do it all without breaking the bank, the Magma is a solid choice. It’s also a CleverHiker top pick on our Best Sleeping Bag List for its all-around value. One of the most anticipated ultralight gear releases of the year, the new UberLite sleeping pad from Therm-a-Rest is the lightest inflatable pad on the market. Weighing only 8.8 oz, the Uberlite packs down ridiculously small while still retaining the same level of comfort as our much-loved NeoAir XLite. With an r-value of 2, the Uberlite is best suited for summer backpacking trips. For those looking to go ultralight while retaining comfort, this pad should be in your pack. The Big Agnes Copper Spur HV UL2 has an exceptional blend of weight, interior space, and functionality. It has great features for maximizing comfort - freestanding, double-wall, near-vertical sidewalls, two large doors/vestibules, interior pockets - and it's still somehow under 3lb. For freestanding tents in this weight class, you’ll be hard-pressed to find a better option. Also, don’t sleep on the slightly larger HV UL3 model, which will provide a lot more interior space for two hikers and has become a CleverHiker favorite. Both are top picks on our Best Lightweight Tents List. HMG makes some of our favorite “tough as nails” ultralight gear, so we were very pleased to see REI begin to carry their products in 2019. The unique DCF fabric and taped seams on the Southwest make it one of the most weather-resistant and durable ultralight packs we've ever tested, hands down. Our top pick for lightweight backpacks, the Southwest is available in three capacity sizes, though we recommend either the 2400 (40L) or 3400 (55L). If your gear is fairly dialed in, we would steer you towards the 2400. The MSR Hubba Hubba NX has been one of the most popular tents in the backpacking world, and with good reason. It's a well-designed, roomy, and durable tent that provides excellent protection in windy, wet weather. The Hubba Hubba was updated in 2019 to provide a more durable pole structure and increased weather protection. Though the Hubba Hubba isn’t the lightest tent on the market, it ranks squarely among the best backpacking tents for dependable protection and comfort. The Osprey Exos 48 (men’s) and Eja 48 (women’s) are extremely comfortable, lightweight backpacks with great all-around value. They have sturdier frames than most lightweight packs, carry heavier loads comfortably, and won’t break the bank either. One of our favorite features of these packs is their tensioned-mesh frame, which contours to the back nicely and offers great back ventilation on the trail. Our main gripe is the lack of hip pockets, but if comfort is a priority, this pack is tough to beat and earns a spot on our Best Lightweight Backpacks List. 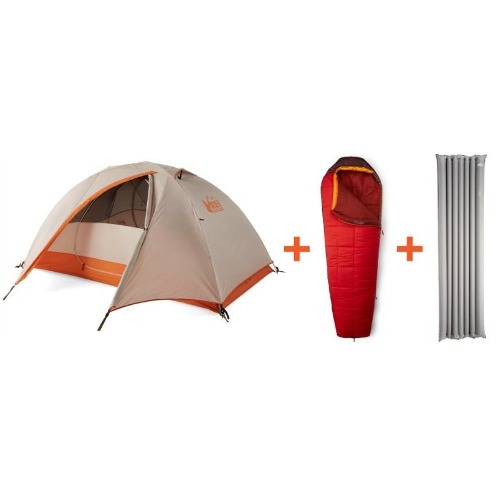 REI recently launched the new Quarter Dome SL Tent and we’re excited to get one on the trail. The SL could be a good fit for ultralight backpackers on a budget, as it’s among the most affordable options in the ultralight tent world. With a minimum trail weight of 2 lbs. 8 oz., the SL 2 is extremely lightweight, especially for the amount of interior space it provides. That weight savings does come with a catch though, as the SL is only semi-freestanding, which means it needs to be fully staked down to be functional. That said, the design looks promising, the price looks great, and initial feedback has been positive, so we’re excited to test it out. REI has officially entered the quilt market and their first offering is quite competitive. The Magma Trail Quilt 30 has an excellent warmth-to-weight ratio, packs down small, and is priced fairly for the quality. It has as fully-sewn footbox, which slightly limits versatility, though this design is one of the best for warmth-to-weight ratios. Although this quilt has a 30°F rating, we view it more as a summer option when nighttime temps are 40°F or warmer. 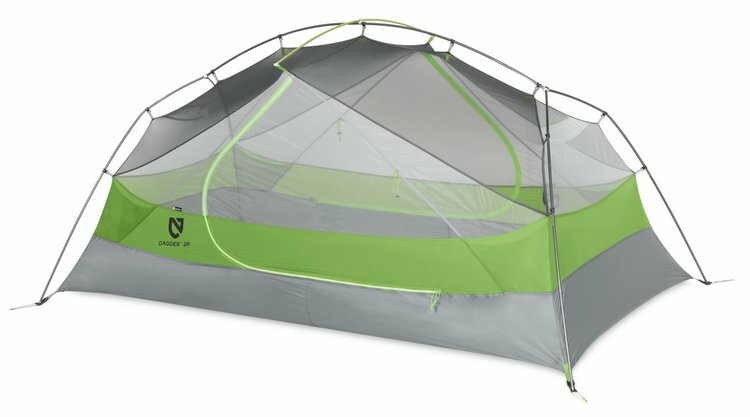 Big Agnes' Tiger Wall UL2 delivers a lot of interior space in an ultralight package. The Tiger Wall is a combination of two popular BA tents, with a shape that’s similar to the Copper Spur, but much lighter, and a pole structure that’s similar to the Fly Creek, but with more interior space. One downside with the Tiger Wall is its semi-freestanding design, which requires two stakes at the foot of the tent for a full pitch. That said, for a few small drawbacks, the Tiger Wall UL2 has a lot to love. NEMO recently updated one of our long-time favorite sleeping pads: the NEMO Tensor Insulated Pad. In our opinion, this pad’s greatest strength is how quiet and comfortable it is compared to the competition. Upgrades to the pad are very welcomed: it’s lighter, warmer, has zero-profile valves and an included pump sack. There’s no official r-value for the Tensor, so it’s tough to truly know how warm it is compared to the competition, but we expect it’ll work down into the 20’s. This pad has earned a spot on our Best Sleeping Pads List. Do you want to be an absolute baller the next time you and your friends head out on a car camping adventure? REI Kingdom tents are great for camping trips when you want a ton of space, comfort, durability, and weather protection. They're available in 4P, 6P, and 8P models, all of which pack down surprisingly small, are super spacious, and are sure to make your camping neighbors jealous. If you’re new to backpacking and not looking to drop your whole paycheck on a setup, the REI Backpacking Bundle is a great beginner option. Included is the REI Co-op Passage 2 tent, REI Co-op Stratus sleeping pad, and the REI Co-op Trail Pod 30 sleeping bag. Weighing in at 9 lbs. 6 oz, this will not win you any ultralight medals, but it will get you on the trail—and that’s what really matters. The Backpacking Bundle is on a flash sale right now (was $275, now $199.99), so it’s a great time to swoop it up! With features similar to Osprey’s Exos, the Optic from Gregory is a lightweight, comfortable, and well-designed pack. The frame on the Optic 48 is very sturdy and transfers weight to the hips extremely well. We like the features and pockets on this pack, but the mesh side and front pockets do lack a little durability. Overall, the Gregory Optic 48 is a solid lightweight pack with great features and a very affordable price tag. Weighing just under 5 lbs, the Half Dome 2 Plus isn’t going to be part of any hiker’s ultralight setup, but if you’re looking for a solid and affordable tent for car camping excursions or short backpacking trips, the Half Dome 2 Plus is a great choice. Its generous dimensions and overhead crossbar create a ton of interior space and its materials are more durable than most lightweight tents. It’s a great value option for those on a budget. The Jetboil MiniMo is a complete cooking system that’s just about as convenient and efficient as backcountry stoves get. The MiniMo is loaded with useful features including a push-button igniter, excellent simmer control, and a stout shape that makes eating out of it easier. Metal coils along the bottom of the Jetboil increase cooking efficiency and produce incredibly fast boil times. Another great option is the simple, straightforward, and less expensive Jetboil Flash. The NEMO Dagger 2P offers lightweight livability in a convenient design. Like the MSR Hubba Hubba, the Dagger has a rectangular floor and symmetrical ceiling, which increases elbow room and usable interior space. The Dagger also has two huge vestibules with lots of room for gear storage, though two tent stakes are required for each vestibule. Our main qualm with the Dagger is that we wish it had more ventilation for condensation management, but it's not a dealbreaker and earns a spot on our Best Lightweight Tents List. We hope this guide helped you narrow down the very best way to spend your REI dividend. If nothing on this list sparked your interest, we encourage your to check out our full CleverHiker Gear Guide where you will surely find something.